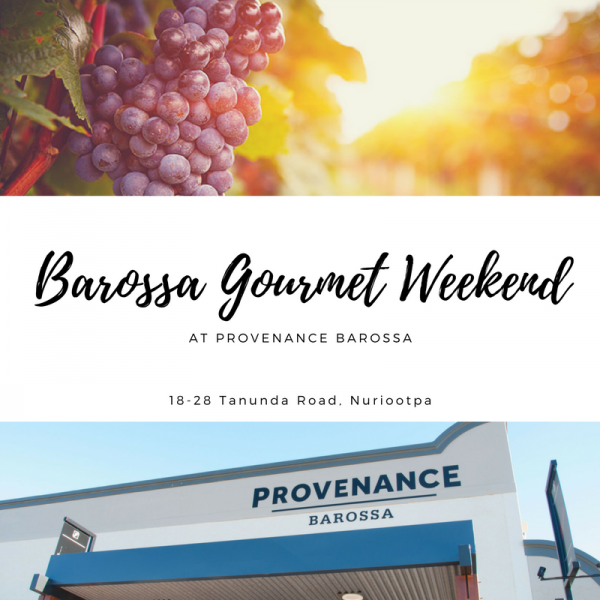 You are spoiled for choice this Gourmet Weekend at Provenance Barossa - 2 & 3 September 2017. At First Drop Wines' Big Fat Greek Gourmet Weekend you’ll be treated to a classic feast of spit-roast lamb and other Aegean delicacies matched to the very best of their award winning wines - not to mention some smashing Greek activities! Tickets are essential for the event being held on Saturday from 12pm. Stein's Taphouse's second installment of the 'Tap Take-Over' being held on Sunday will showcase local Barossa beers from Rehn Bier, Greenock Brewery, Western Ridge Brewing & Ministry of Beer. The Barossa Distilling Company's Tasting Room & Bar is open all weekend including their Sunday Social session from 12-5pm. Special guest Eloise Praino will share secrets on pairing food with craft spirits at an exclusive event on Saturday evening - tickets are essential. The Cooks' Base will be showcasing Turley Mae Foods' BBQ sauce range with either Smoked Pork or Smoked Brisket served with Boston Beans, Corn Bread and Slaw. Or try their special Penfolds Bin 128 Shiraz Meat Pie. Delicious meals for you to devour between wine tastings! Open 11.30am-3.30pm both days. Please note that Penfolds Cellar Door will be open from 9am-5pm Saturday & Sunday and Bean Addiction Artisan Coffee Roasters 10am-3pm on Saturday. There's something for everyone at Provenance Barossa!